Prominium™ tablets are 100% active wetting agent pellets which combine the industry-leading penetration, spreading and rewetting properties found in Immerse GT with cutting edge amino acid technology. 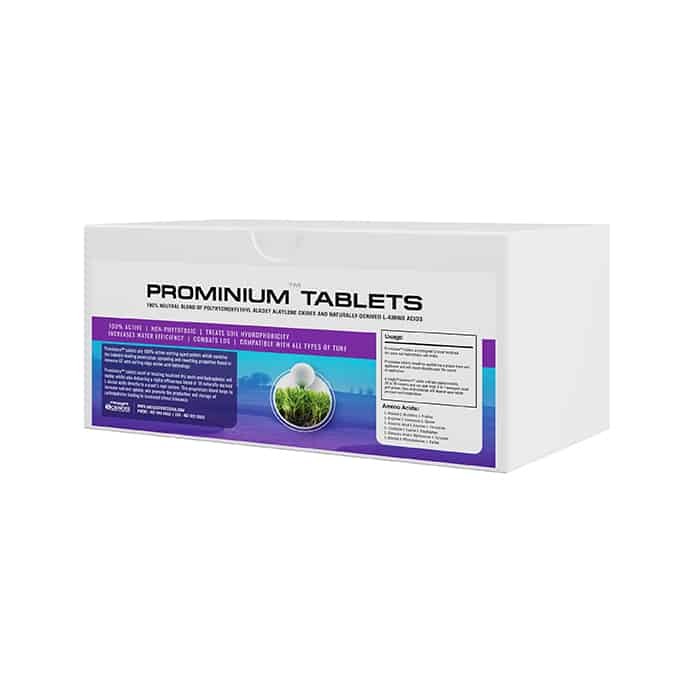 Prominium™ tablets excel at treating localized dry spots and hydrophobic soil media, whilst also delivering a highly efficacious blend of 18 naturally-derived L-Amino acids directly to a plant’s root system. This proprietary blend helps to increase nutrient uptake, and promote the production and storage of carbohydrates leading to increased stress tolerance. Prominium tablets should be applied via a proper hose-end applicator and will slowly dissolve over the course of application. 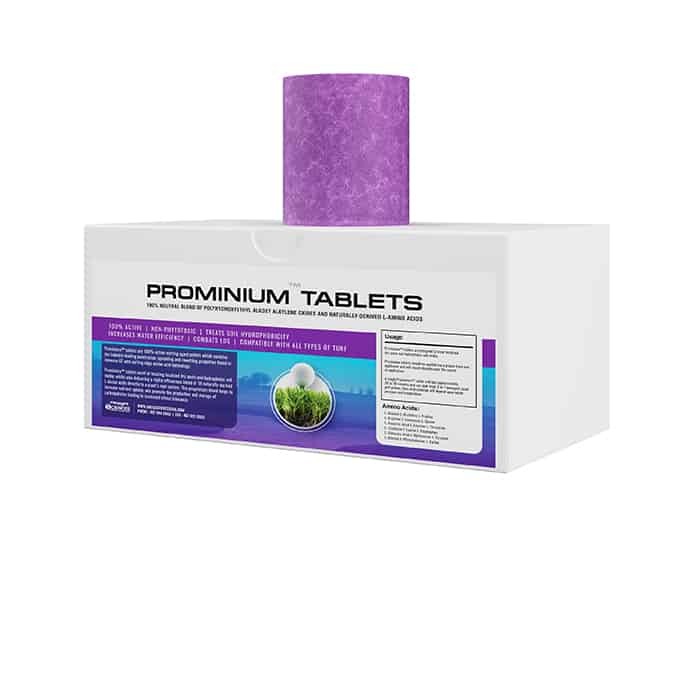 A single Prominium™ tablet will last approximately 20 to 30 minutes and can spot treat 6 to 7 averaged-sized golf greens. Rate of dissolution will depend upon water pressure and temperature.